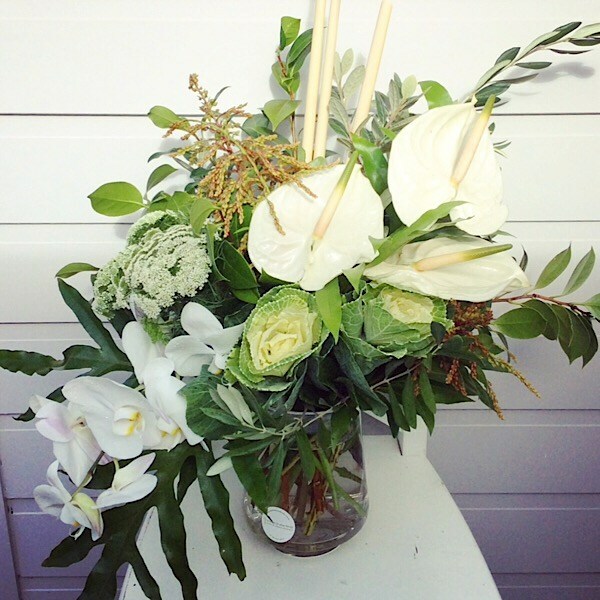 This arrangement in white and green is full of texture and movement designed to catch your eye. It is perfect on a side table at your next event to help create a luxurious and calming atmosphere with which to entertain your guests, clients or friends. The flowers used will be the season’s best and may vary from the picture.